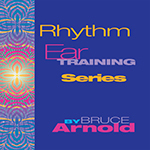 Why a New Rhythm Ear Training Course? Today I’d like to tell you about a very important moment in my musical life. It happened way back when I was a student at Berklee, and I thought I was a pretty hot player. I was in a recording session that one of my teachers attended. When I had finished my track, my teacher took me aside and said to me privately, “Man you have GOT to get your rhythm together.” I felt like I was falling through the floor, and he kept on going as my track played back “Listen: here and here and here, you’re messing up the rhythm section.” And you know what? I heard it. It was even obvious. But for some reason I didn’t hear it while I was recording! I went into panic mode and all I could think about for the next few days was how to get my rhythm better, how to hear when I was off, how to get the rhythm section to WANT to play with me, ‘cause the way I was playing, they sure weren’t going to call me. Looking back, I think I was really lucky to have a teacher who was willing to tell me the hard truth. I was so obsessed with soloing, with learning all the jazz tunes that everyone was crazy about, learning how to identify pitches, and getting all the scales and chords under my belt, that I was thinking that rhythm would just sort of take care of itself. Well, it didn’t and it doesn’t. It needs to be worked on. I have had the great fortune to play with some of the most evolved, amazing players, and without exception they all have not just extraordinary technique, can play blazingly fast through the most sophisticated music, but they just NAIL the rhythm. And after all these years of teaching, I can also tell you that too many music students don’t pay enough attention to their rhythm skills. I get so many students sending me files of them playing and asking for my evaluation, and without exaggeration, I’d say 70-80% of the problems are rhythmic! And that’s why I created the Rhythm Ear Training Series. Yeah, you probably knew where this was all going, but I really had to say all this, because if you know anything about me by now you know I’m a straight shooter and a hard worker. And I created most of my educational tools because I never wanted other students to go through what I had to go through, wasting precious practice time on the wrong things, or heading off in the wrong direction. Look, if you’re a drummer or a bass payer, you are going to be obsessed with rhythm, and seeking out a teacher who can focus on that. But if you aren’t, the chances are that you are ignoring that crucial, can’t-make-music-without-it thing that is rhythm. And it’s going to take its toll. It will manifest itself in slower playing speed, less accuracy, and inconsistent grooves. So if you find that you slow down or speed up when you play, or don’t understand quite how a complex rhythm is put together, or just feel frustrated that your playing tends to sound monotonous, and you can’t figure out how to break the pattern or if the guys just aren’t calling your for the dance gigs…..I’ve got a course for you. 2. You hear a rhythm and you write it down on staff paper and then check the rhythm with a PDF containing the answer. 3. The course also recommends you apply these rhythms to popular tunes. For instance if you wanted to apply an eighth note rhythm you might take the following tunes and play that rhythm along with the tune. I’ve included a list of tunes in the course to use for each rhythm level. Overall the course contains 4171 rhythms that you are quizzed on so it’s quite robust and if you can hear and recognize all those rhythms and easily apply it to the recommended “real music” examples then you are in a much better place with your rhythm. I put the counting in because believe it or not there are many musicians that do not know where the beat is when they hear music. By including 20 tracks that give you the counting which includes tracks in 4/4 and 5/4 hopefully this will help musicians get on track to counting music properly. So in this example I demonstrate how to apply a sixteenth note rhythm. It’s also a good example for you to check out. If you can just play and use this rhythm straight away, then you are probably not someone who needs the Rhythm Ear Training Course. If it’s taking you a minute or way more than a minute to play this well, then you probably need to sit down and think a bit about rhythm and how it might be holding you back. My hope is that you will at least give some thought to that other 50% of music called rhythm that is so under practiced and under the radar for most players. 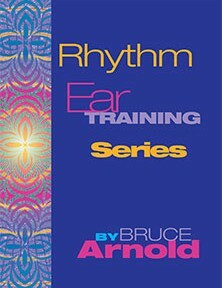 If you decide that you need to get that together, the Rhythm Ear Training Series was made for you.